The "hiccups" in our everyday thinking. 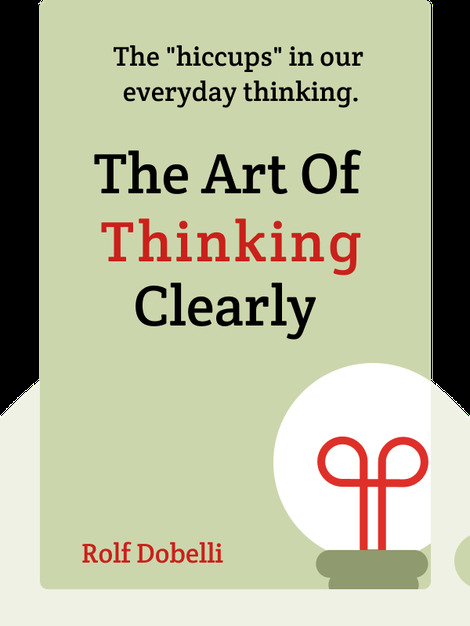 The Art Of Thinking Clearly aims to illuminate our day-to-day thinking “hiccups” so that we can better avoid them and start making improved choices. Using both psychological studies and everyday examples, the author provides us with an entertaining collection of all of our most common fallacies. 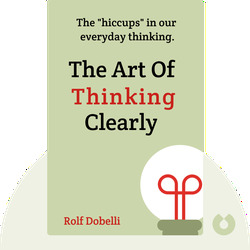 Rolf Dobelli is a writer and entrepreneur with a PhD in philosophy, as well as the founder of Zurich.Minds, a community of high-profile thinkers. He is also a regular contributor at esteemed European newspapers like Die Zeit and FAZ and has written six novels.